Is it only survival? Is it politics without science? The use of ‘is’ in the title is deliberate, denoting that the resistance against the Open Pit Coal Mining project of Asia Energy Corp. (AEC) is not over. The mainstream media and a large number of intellectuals, especially the liberals, the civil society, the right and a particular quarter of the Marxists, may differ in their views on the Phulbari Anti-Coal Mine movement, but they share some of the essential concepts that have their history of formation in the unequal relation of ‘the west’ and ‘the non-west.’ Much of the recent thinking and scholarship of colonialism, neo-colonialism, Orientalism and nationalism have focused on the paradoxical sharing of conceptual terrains by the seemingly oppositional forces. They have also identified, from various points of view and conceptual frameworks, how the history of colonialism, imperialism, nationalism and their recent manifestations are entwined with the history of science and technology, concepts and methods of environmental studies and paradigms of development within and beyond the boundary of nation-state. I want to point to the fact that the dominating narratives, which are hegemonic in their arguments for and/or against the Phulbari Coal Mine project in Bangladesh, are deeply implicated in the modernist, masculinist and oppressive ideals of science, environment and development. This statement, however, does not imply that the spirit of anti-coalmine campaign is negative or should be discouraged. Rather, by reflecting on my understanding after working for a considerable period of time in and around the assumed mining area as an archaeologist, I want to elaborate upon some of the problematic conceptual spaces, which must be encountered by the courageous intellectuals who are excited about the (so-called) ousting of Asia Energy Corp. (AEC) from the mining area. On the other hand, these spaces have already been overtly inhabited, I assert, by the experts and the writers who are dissatisfied with the recent developments by claiming that the entire events are ‘anti-developmental,’ ‘irrational,’ ‘unscientific’ and ‘political’. 1. Coal is one of the national natural resources. It should not be left buried. The state, if it is not a ‘failed-state,’ must ensure the protection and proper utilization of this resource to facilitate ‘development’ (of the state and its citizens). 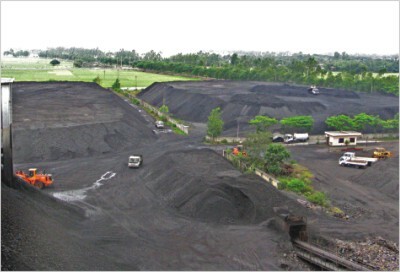 Unfortunately, the deal on open pit mining between the State and AEC was anti-developmental, anti-state and anti-people as the deal offers only 6%-7% share of the coal in addition to the revenues on the rest amount of exports for Bangladesh1. 2. Various impact assessment studies done by the AEC and its local and international consultants are biased and, therefore, unscientific. If the studies had been ‘objective’ and ‘neutral,’ so the argument goes, various numerical enumerations (for example, the number of people who would be affected, the amount of land that would be acquired or lose fertility, the possible destruction of or harm to a number of archaeological sites, etc.) would have been accurate and factual, and thereby good for the people and the state. 3. Open pit mining is environmentally and contextually disastrous. The population density, and geological history and characteristics of the mining area are not at all suitable for such kind of mining method. However, the arguments go on to add that any other method of mining or a proper and neutral consciousness raising-compensation-rehabilitation program could have been more effective to minimize the anti-mining sentiments and resistance developed among the local people. It is thought that government has failed to inform the local people about the ‘facts’ of the project as a whole. In the following sections, I am not going to make an attempt to falsify above concepts and ideals. I am not also going to propose something in a manifesto like formulation. I am rather interested in raising questions about the certainties and essentialized consistencies. Apart from this objective, I try to look into the ‘contingencies’ and the ‘deviations’ from the normative and homogenized narratives. In the colonizing and neo-liberal doctrines, ‘nature’ has distinct yet related anthropocentric ambivalences. On one hand, it is thought in an essentially masculinist term that nature could be and must be studied, classified and governed through science. It is believed that science is a discipline, an attitude, and above all, the only rational way of living in the face of the atrocity of nature. Epistemologically speaking, it essentially reduces the complexity and heterogeneity of nature into deducible, universalized and verifiable laws. These laws would control and utilize natural resources. The state, to become ‘rational’ and ‘developed,’ must ensure the development of science and technology and vice versa. Under the conditions of globalized capital, these concepts of science, development and nature have gained ascendancy over other alternative views. The conditions shaped by the corporate capital and the nation-state have also transformed the nature into ‘objects’ exchangeable by money. The nation-state and the multicorporates have become symbiotically the space and conditions as well as the agent in nurturing, maintaining and pursuing this ascendancy through the application of coercive and persuasive powers. Even the discipline of political ecology adheres to the anthoropocenric and non-democratic ideals, as Bruno Latour argues. The ambivalence of ‘nature’ in the discourse of nation-state and development could be recognized, covertly or overtly, in the narratives from different parties relating to Phulbari Coal Mine Project. I would like to leave the task of recognition to the respectable readers. Most of the people, even those who condemn the violent killing of protestors by the state security forces and police, sniff some sort of ‘conspiracy theory,’ which is masterminded by the outsiders (reference could be made in this regard to the statement made by Mr. Mahamudur Rahman, the Energy Advisor and the chief of Board of Investment and Mr. Gary Lye, the Chief Executive Officer of Asia Energy, Bangladesh after the killing of anti-coal mine protestors). The statement renders the people in Phulbari as simply passive actors: they live in a natural state (which is anti-science and irrational) and do not possess and understand the expertise knowledge of environmental damage and other losses cited in the entire movement. The covert notion of ‘the theory’ could be identified in the analyses of ‘civil society’ intellectuals who ask for ‘more science, less politics’3. These reasonings ignore historical juxtaposition of formation of the concepts of science with colonial and modern modes of government and governance, resource extraction and development. Thinkers like Vandana Shiva, Ashish Nandy, Ian Hacking, Bruno Latour and many others have exposed the essential repressive, reductionist and authoritarian nature and concepts of modern science from various points of view.4 These thinkers’ analyses show that science has never been apolitical under the conditions of inequality. At the same time, anthropologists-historians-archaeologists are arguing in recent times that the ‘neutral,’ ‘objective,’ ‘factual’ methods of knowing (in this case, the impact assessment studies) are essentially and foundationally problematic because of their specific genealogy through the unequal encounter between ‘the west’ and ‘the non-western’ societies, religions and cultures. There are many analyses and critics of the universalized idea of development. Several thinkers contend that problems and failures of the modern developmental programmes are not simply the effects of the causes such as corruption, inefficiency and failure of the ‘third world’ governments and states. On the contrary, they argue that the core concepts of development are problematic. These concepts have their genealogy in the conditions manufactured by the extreme inequality between ‘the west’ and ‘non-west’. The insertion, translation and borrowing of these concepts in a well devised programmatic form to and by the so called third world (or developing) nation-states have been uncritical about the history of the concepts and contexts of the places where they are being exercised and implemented. The actors- ‘the west’ and ‘the rest’, the multicorporates and the people, the nation-state and the citizens- have never been in equal in power and its representations throughout the entire history of the modernizing and civilizing (and developing) projects. Without going into the details of theoretical narratives of these critiques of the universalized (and globalized) ideals of development, it should be pointed to the fact that these ideals are not thought as given and undisputed as are conceptualized and narrated by the ‘civil society’ intellectuals and some quarters of left in Bangladesh. Here, I do not want to claim that the people t of Phulbari made history through self-conscious action; their responses and acts of resistance are varied and they are shaped to a particular extent by the conditions of nation-state and mainstream developmental and environmental discourses. We must rather cognize the nature as collective without any hierarchy, and an assemble where democracy prevails among human and non-human actors in a complex network of relations. Many of these explored/unexplored archaeological records will be destroyed if the mining activities continue. Past human occupations in the area, as our preliminary studies in the area show, have multivalent relationship to the landscape and rivers. Destruction of the archaeological records and erosion of landscape will result in the complete loss of extremely valuable information regarding the history of the human-land interrelationship in the region. We should remember that the disciplines of ecological archaeology are very new in the professional and academic domain of Bangladesh archaeology. This loss of information will inevitably affect the present enterprises for the development of a critically informed ecological paradigm in archaeology of Bangladesh. In the ‘developed’ countries, excavations are carried out on the archaeological records for the rapid and quick recovery of data in the face of ‘destructive’ works of developmental programmes like industrialization and urbanization. This particular variety of excavation has been popularized as ‘rescue’ or ‘salvage’ excavation. Consultants of AEC could have advised to conduct rescue excavations in the mining area to promote protection and the study of the past and heritage. Considering the fact that both the ‘past’ and ‘heritage’ are highly ‘politically’ nuanced words and reflecting upon the concepts and methods of rescue excavation, I want to claim that any endeavor to carry out such data retrieval method will be conceptually and professionally dangerous in Bangladesh. The technical skill, number of archaeologists needed for the task, and methodological understanding in the disciplinary domain itselfrequired for implementing a method as such are not available in Bangladesh. Most importantly, the method of quick recovery of data does not take the multiplicity in the ‘historical interrelationship between human-object’ into account. In most of the concepts of archaeological excavations, ‘cultural past’ is conceptualized as something which could be recovered from the ‘objects’ (including site soils, floral and faunal remains). The ‘objects’/’artifacts’ from the past are taken as discrete or isolated materials, as dissociated from human experience, memories and emotions of the past and present. This conceptualization can be genealogically traced back to the subject/object dichotomy in classical western thought. We came to realize from the encounters during our works that the relationship between an archaeological ‘object’/’site’ and people, between the landscape and human experiences, cannot be separated into clearly bounded categories. The separation line does not follow any a priori assumption, neither could it be conceptualized in any taken-for-granted terms. It is true that modern conditions of living in the world and in the nation-state are shaping the experiences, aspirations and pain, sometimes in the way of mediation. Therefore, the actions and responses, be in the form of resistance or not, produced and formed through these modalities of interrelationships, must be understood in their own terms. During our archaeological fieldwork this year, we found that the people who were very hospitable, modest and helpful during our fieldwork of the last two years in the region have become suspicious, evasive, sometimes angry. It is important to note that their emotions, desires and disgust were not often recognizable in their speech. Their bodily gestures and silences signified their despair and horror resulting from the sufferings inflicted upon them by the state and multicorporate agents. One of the team members, Ahmed Sharif Sunny, told us that a cultivator came towards him with a hoe in his raised hand. Sunny was afraid assuming that the man was going to attack him. But to his surprise, Sunny found that the raised hand with the hoe was the signifier of his anger and defiance. you did come and introduced themselves as university teachers and students. We helped them, took them to our home and feed them. But they are now taking away our forefathers’ land, our home, our livelihood. The educated people like you are the main culprits. There are young people in the village. They are easily irritated! Please, leave this place at once; otherwise they may beat you up.” A cultivator in the same area even threatened to burn us alive. Any kind of digging, scraping and photographing was identified as pro-mining activities. Our continuous efforts to convince the people, both the ‘educated’ and the ‘uneducated’ ones, turned into a production of more terror and pain. We also found it true that many of the local consultants in impact assessment studies were university teachers and students. Were the people’s ‘ignorance’ and ‘unconsciousness’ about the difference between mining activities and archaeological activities the reasons for these reactions and resistance moves? Or was our failure to make them perceive the main reason? While we were working in the surrounding areas of Birampur-Nawabganj, people there too observed our excavations with great suspicion. When we somehow managed to convince them, they remarked: “Do whatever you like. But please, don’t destroy our lives by digging another coal mine.” The fright is all pervasive! Unlike Mr. Mahamudur Rahman, the chief of the Board of Investments, we were agonized and frustrated for being misrecognized as the ‘agents’ and ‘collaborators’ of AEC. At the same time, we came to understand that resistance is getting shapes and it is shaped and expressed not simply by ‘the instinct of survival.’ These people, being heterogeneous in religious, sexual, professional and ethnic identities, have made demonstration of resistances many times in the past. This is not to say that people resisted as self-conscious and autonomous agents. The claim of some of the pro-movement intellectuals that people made history in Phulbari seems a too simplified generalization within a predominantly liberal and secular ideological space. The people we met were much aware of the power of the nation-state and mining companies. Their invocation of terror and pain in various terms of the loss of land, property, memories and past followed multiple strategies. The dominance and marginalization of the progressively liberal and mordernized nation-state have conditioned subjectivities which acted in concordance with the individual and collective memories of displacements. If we look into the local people’s settlement history, we get to the fact that most of the people or their ancestors (except the ethnic nationalities), living in the area migrated from various parts of Bangladesh in the last 30-40 years in search of living and land. A considerable number of people migrated here after the partition in 1947. The extensive shal forests have been destroyed for developing cultivable lands. Some of the present landowners have got their ownership through exchange of their land and property in present India with that of the migrating Hindu community members during their exodus in the post-1947 period. Some Bangali Muslim landowners gained the landownership by taking opportunities of the exodus in exchange of a small amount of money or, as it happened most of the times, no money at all. A considerable number of members of Banglali community snatched the land and property from Santal nationalities by treacherous use of modern law regarding land registration. This complex history of displacements has acted in shaping the memories of various parties in different ways. If the exclusion, marginalization and subjectivity of the Santals are taken into account under the growing dominance, hegemony and violence of the Banglai/Bangladeshi nationhood, it will appear that the Santals who have lost their lands to the Bangalis have a quite different repository of loss, pain and memory. The complexities and the transformation of the relationship between land and people, the genealogy of the connected memories and past, and the reconfiguration of the identities by the modern power – all have contributed to the formation of resistance against the Phulbari Coal Mining Project. The past and its signatures have had a role to play in the formation of subjectivity and memories. For example, there are many archaeological records in the region in the form of small to large mounds. They could be dated approx. to the 6th-12th century AC. They are perceived and reused by the local people as mazar (burial of a saint or peer), as Kalir than (place of the goddess Kali) or as Dargah. Archaeologically and scientifically, we may label their perception as ‘irrational’ and ‘factious.’ We must bear in our mind that it is well established that there are limits of archaeological and scientific inferences. Then why aren’t we ready to accept the limits of the perceptions in the popular domains? Why and how do we seldom label and exclude these identities as ‘abnormal’ and ‘primitive’ natural state of humanity or as anti-developmental? The question whether their perceptions of the past and archaeological records are fact or not, wouldn’t be very effective to posit. Rather, I am more interested in asking the questions about how their perceptions are varied and sometimes oppositional to the taken-for-granted academic inferences and how these perceptions are formed and are acting in the formation of their subjectivities. With a view to go beyond the limits of evolutionist and racist nuances in the discourse of the educated metropolis mass, we have made several ethnographic studies in the region. We found that there are histories (not History as a grand nationalistic and Orientalist narrative) of people’s relation to nature and archaeological records. Developmental discourses always assume that it is possible to exchange the sufferings and pain with money. I think the opposite. The impacts on environments and the damage cannot be numerically enumerated or compensated when history of relationships comes into the play. The relations between the land-flora-fauna-rivers-soils-human being have histories, which are implicated in the memories and narratives. They have a different sense and ideals of past than the one that is taken-for-granted as scientific and developmental. Every cultivator has a historical sense of connection with her/his land, her/his basat-bhita (the place where s/he is living), the burial or cremation grounds of her/his ancestors, and the archaeological sites and places. It is true that modernization and secularization have reconfigured and reorganized these relationships and there trajectories. However, these reconfigured senses of past create the conditions within which particular subjectivity is formed through the relation and opposition to the conditions of nation-state and capital. Resistance moves are developed and extended not only through their translations in the form of street demonstrations, but also, in everyday lives and uttered words, through body and its historic practices (like, in the prayer for the killed ones or in carrying of bow and arrows in the demonstrations). Resistance could be shaped in the identifications and recognitions of the ‘self/selves’ with the ‘remains of the past’ in the margins of the nation-state. 1. “Phulbari Kaila Prakalpa: Kar labh, kar khati.” ANU MOHAMMAD. In Phulbari Kaila Prakalpa: Kar Labh, kar khati. Tel-gyas-khanij sampad o bidyut-bandar rakhar jatiyo kamete. 2005. ZAFAR SOBHAN (The Daily Star, 01 September, 2006) [http://www.thedailystar.net/2006/09/01/d60901020330.htm Also note the comments of Dr. Debapriya Bhattachrya of Centre for Policy Dialogue to the electronic media and Ms. Patricia Butinis, the US Ambassador in Bangladesh to the media. 4. It should be noted that these critics have various theoretical and political positions regarding their analyses. Readers can read different issues of the reputed journal Social Studies of Science published by Routledge along with the writings of these authors. 6. These archaeological records are yet to be presented in a systematic and academic manner. The manuscripts of the reports in the form of academic papers are under preparation. The conclusions about the number, nature, form and temporality of archaeological records cited in this paper might undergo changes in the reports. Previous Afsan Chowdhury: Do we really care about Felani?